Let’s dive into the nitty-gritty of mulch. Mulch isn’t something many of us think about often, but it’s an essential part of every healthy, well-manicured, and presentable landscape. I remember being a first-time homeowner of a new construction home. I didn’t own a lawnmower, there wasn’t a tree in sight, and I surely didn’t consider what type of mulch I’d use down the road. As I began to plant trees and shrubbery, I quickly learned that you can have the most beautiful rose bushes on the block, but you’re guaranteed weed-filled, improperly watered landscape beds until you lay down a bit of mulch. Whether you choose wood, straw, rocks, or rubber—your choice will depend on a number of factors. 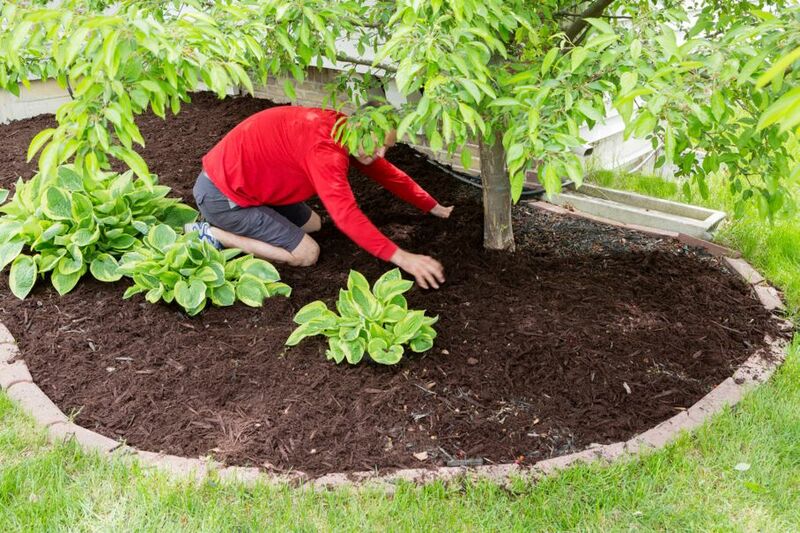 Let’s dive into the nitty-gritty of mulch. Making your trees, shrubs, and flowers “pop”. It’s an easy way to tidy up and beautify your outdoor space. Most often, the type of mulch you choose will depend on your geographic location and budget. 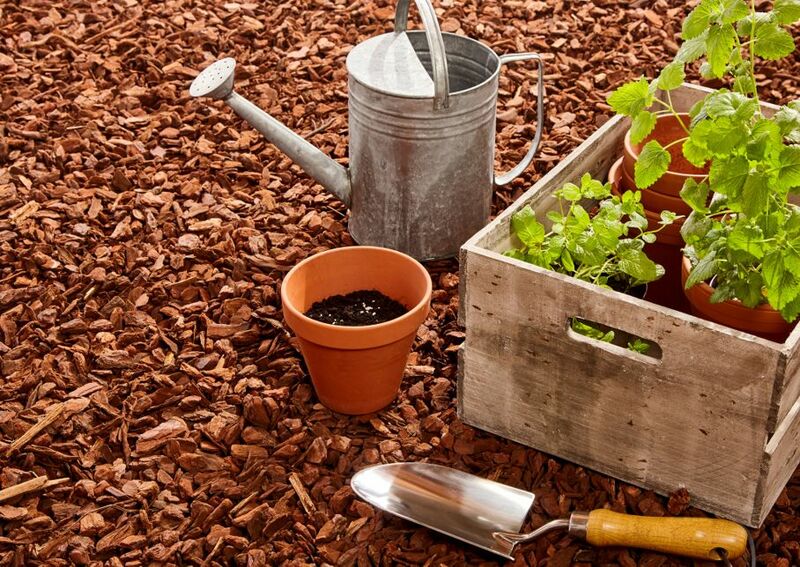 Wood Bark: A natural groundcover, wood bark is the go-to mulch for many in northern and/or temperate climates. Whether you choose cypress, cedar, or hardwood wood bark mulch, you’ll notice that it decomposes perfectly to add the right amount of organic nutrients to help trees and shrubs grow and thrive. Pine Straw: Pine straw rules the landscape in the southern US. It’s a plentiful, sustainable product that spreads easily and is relatively low-maintenance. 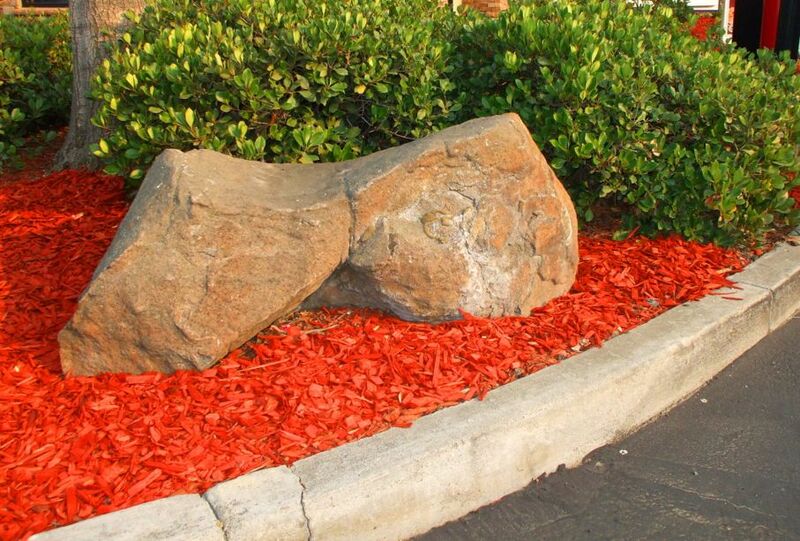 Plus, it’s more affordable than most other mulches on the market. 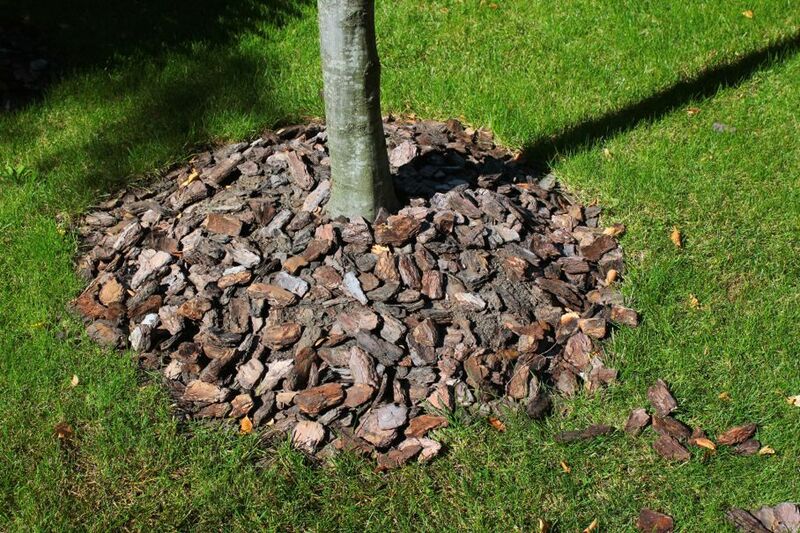 Rock/Gravel: While a bit expensive upfront, rock is a great long-term ground cover common in dry climates. Just keep in mind that weeds aren’t controlled quite as well with rock as with other mulching materials, so this material requires more manual weed removal. Recycled Rubber: While often used for children’s playgrounds, recycled rubber can also be placed around trees and plants. 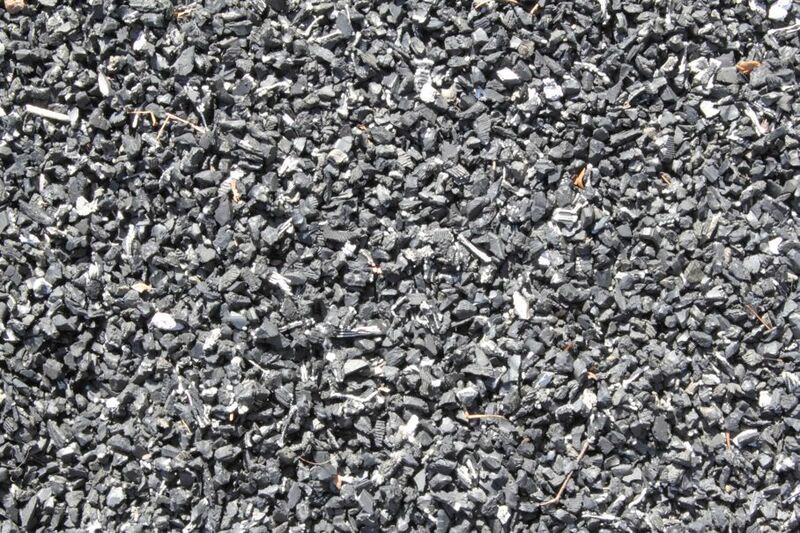 Similar to rock mulch, it’s commonly used in drier climates. One of the best things about recycled rubber is that it doesn’t absorb water, so your plants can absorb more. Plus, it’s eco-friendly! Dyed Bark: This ground cover is made from wood waste products (such as old buildings) and then dyed a shade of red, brown or black. 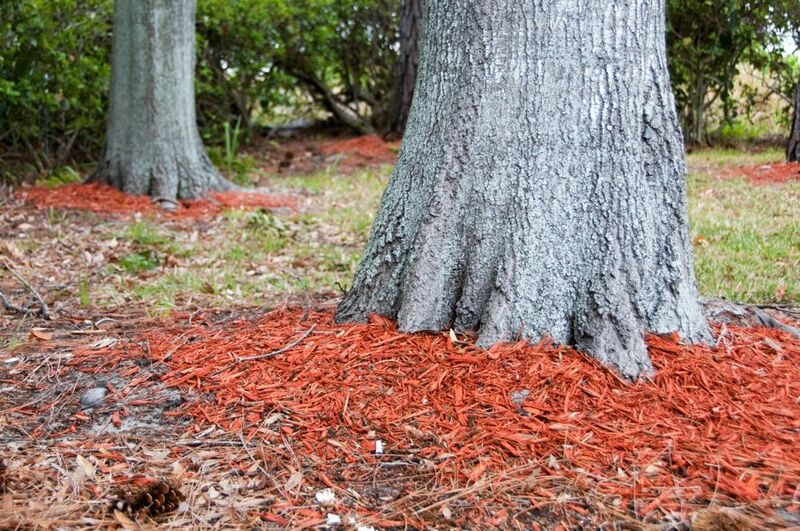 Most professionals don’t recommend using dyed bark mulch because the dye can run off and kill nearby plants and insects. Most do-it-yourself landscapers choose to apply organic varieties of mulch, such as bark and straw, in the spring and fall. As noted above, rubber and rock don’t decay and, therefore, don’t need replenishment twice a year. As you start planning and purchasing spring plants, consider the type of mulch you want to use. After you’ve secured your new greenery into the ground, ensure weeds stay out while water and soil stay in with the right mulch. 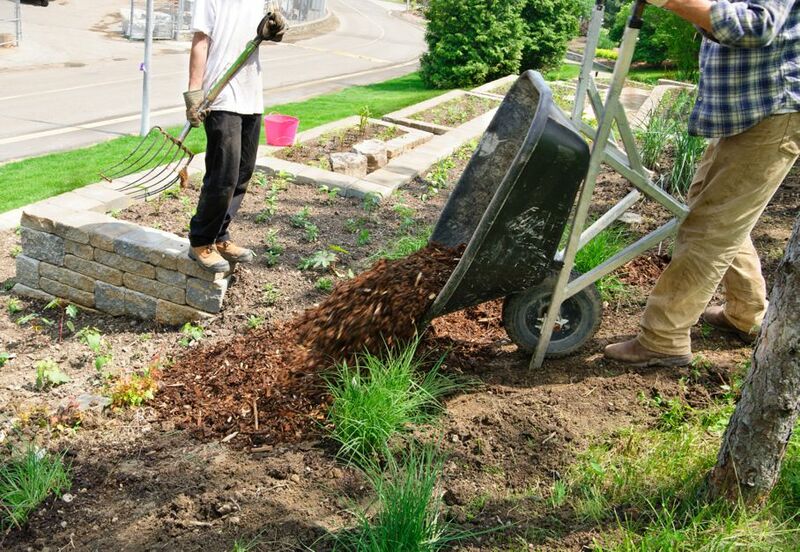 Depending on the type of mulch you choose to use, labor can be intensive. Rock is fairly heavy, and whether you buy bags or buy in bulk, you’ll still need to shovel, lug, and lift. Bark, straw, and rubber all weigh less, but you’ll still be bending over for extended periods of time. Remember to take frequent breaks and get help when needed. 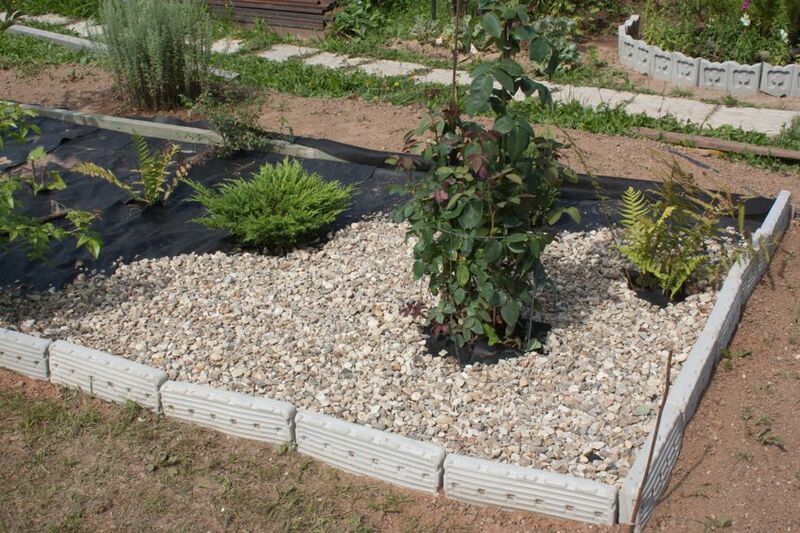 If you’re using an inorganic mulch like rock or rubber, it’s best to lay down landscape fabric to ensure that weeds don’t creep into your landscape beds. This step isn’t necessary when applying bark and pine straw. Mulch isn’t just for landscape beds. It’s also the perfect cover for gardens and play areas. Once my garden plants are properly established, I always add a layer of pine straw to keep my plants healthy and happy. When it comes to landscaping, mulch is the best way to keep the good stuff in and the bad stuff out. Happy mulching! Next: Do You Know the History of Your Home’s Design?